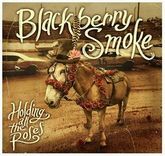 In no particular order, aside from the first dozen or so records being considered the “Most Essential,” here are the 50 albums Saving Country Music deems it necessary you at least give a sniff if you want to get the full musical experience in 2015. 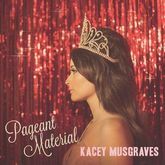 That doesn’t mean these are the only worthy country music albums. They are presented in the spirit of filling in the holes between what you may already know about, not to reinforce how you already feel about certain albums or artists. 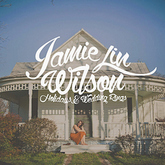 As always, readers are strongly encouraged to share their thoughts on 2015’s most essential albums below. 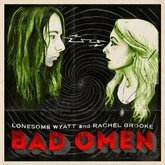 PLEASE NOTE: This list only includes albums that have been reviewed so far. There are a more good and important albums from 2015 that have yet to be reviewed, and that will hopefully be reviewed shortly and added to this list if deemed fit. PLEASE NOTE: None of the Album of the Year Nominees are included on this list, so look over there before complaining about omissions. For those tragic songphiles who were done with popular music by late adolescence, started rummaging through their parents’ record collections and taking suggestions from older siblings and cousins about what was cool, and seem to be engaged in a lifelong pursuit of the essence of the listening experience this is the manna, this is the potent stuff that still makes you feel like a listening virgin when you’ve built up such an insatiable tolerance and addiction over the years so that only the purest stuff will puncture you with its raw emotion. 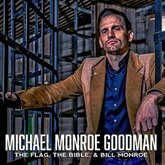 The Flag, The Bible, and Bill Monroe isn’t a bluegrass album, it is a Michael Monroe Goodman album. 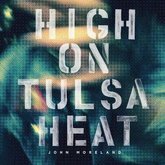 Like all albums that distinguish themselves from the herd, Goodman draws from his own narrative for the inspiration, story lines, and the sound in what turns out to be a deep and compelling work, while still overall resulting in one hell of a good time. Sometimes it takes a bad seed to make good country music. That’s just the way it is. Just how bad Sarah Shook is probably depends on your perspective, but she was born into a good Christian home and raised in a wholesome manner that taught her to do everything in virtually the exact opposite way she eventually did it. 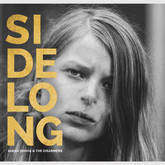 Home schooled and only exposed to worship music at an early age, Sarah rebelled when she got the chance and her first band was named “Sarah Shook & The Devil.” Sorry mom and dad, but there was something inside Sarah that had to come out, and though this isn’t devil music by any stretch, it’s certainly not scriptures. “Who’s Gonna Fill Their Shoes?” was the question George Jones once asked. 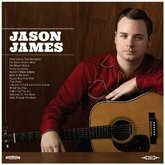 Well he may only have two feet, and those might be mighty big shoes to fill and there’s plenty of pairs of them laying around to boot, but Jason James isn’t afraid to try and slip his hooves into some vacated footwear, or at least make music that reminds us of the many greats who’ve passed on and whose legacies are slowly growing dim in the minds of many. 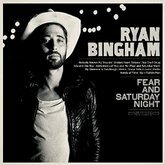 If your perspective of the world is run through the thematic view of American mainstream country music, you will come to the precise conclusion that life starts at age 16, and ends abruptly at 24. Whether it’s celebrating those years with mindless and self-absorbed partying, or reminiscing back on those times in sepia regurgitations of Seger and Mellencamp, mainstream country makes sure to let you know that once you wear the cap and gown at college graduation, slip on a wedding ring, or see the plus sign on a paternity test, you’re irrelevant. Like an ancient family photo happened upon in an old box in an attic, with gaunt faces from the late 1800’s all Stoic and staring forlorn into the distance with blurry eyes from being unable to sit still as the exposure took, Bad Omenleaves you with a foreboding feeling well after you’ve left its presence simply from the knowledge that such a haunting thing exists. 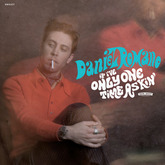 It unsettles you, but in an way you strangely crave from the juices it stirs. Beneath the surface of Australian country, traditional artists still fight for attention and find it amidst both Australian and international listeners. 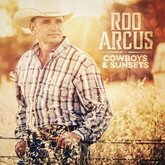 Roo Arcus is one of those traditional country artists, and one who can quiet American naysayers arguing an Australian can’t birth authentic country songs, and not just from the songs that his life has inspired, but the country lifestyle Roo Arcus leads. Yes, yes, and yes. Blackberry Smoke comes rip rearing out of Atlanta, GA with their asses on fire, delivering this power packed, rockin’, country-fried brand new offering called Holding All The Roses that doesn’t let up, doesn’t give in, and keeps spitting out flavorful hooks, delicious riffs, and infectious grooves one after another, all adding up to one hell of a good time worthy of immediate repeat and strong recommendations to friends and loved ones. 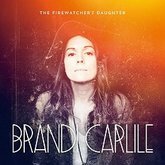 The Firewatcher’s Daughter is the best album Brandi Carlile has ever released, and one of the best albums of 2015. Chalk it up to finally having the unfettered creative freedom of an independent label partner, the lapse in time between releases that reached its most elongated point in her now decade long career to allow the songs to maturate naturally, or just blame the fire of inspiration burning brighter than ever, but this record is an energetic and engaging effort of songwriting and spectacular performances and production from cover to cover. It’s a career-defining record.